Mark your calendars for a dynamic event to connect the past, the present and the future of women and sport. In honour of Ontario and Canada's 150th anniversary, this event will provoke thought, spark connections, build capacity, and mobilize commitment to further change. "A Celebration of Women and Sport" will usher in the next 150 years on a wave of inspiration and action for equity in sport. All those with an interest in the advancement of women and sport are invited, including administrators, coaches, athletes, university students, academics, and more. With a mix of breakout sessions, plenary presentations, exhibits and networking opportunities, there is something for everyone. Winnipeg will host the Canada Summer Games this July 28 – August 13. Featuring 16 sports, over 250 events and a major cultural festival, the 2017 Canada Games will welcome over 4,000 athletes and coaches and more than 20,000 visitors. For those participating at the Winnipeg Canada Games, please join CAAWS, the Coaching Association of Canada (CAC) and Coaching Manitoba to celebrate and recognize women involved in the Games in all leadership capacities. Female coaches, CAC apprentice coaches, managers, mission staff, technical officials, host society members, sport administrators, and volunteer leaders are welcome! Join us and connect with fellow female sport leaders from across Canada! Details: Casual dress. Light refreshments will be provided. Fuelling Women Champions Fund now open and awarding 30 grants! 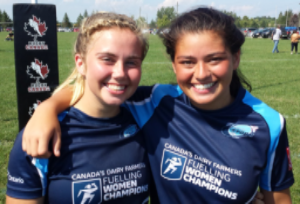 The Champions Fund was created by Dairy Farmers of Canada to empower the female athletic community and provide a resource that can help change the game for Canada’s young girls and women athletes. The deadline for submissions is noon on September 20th, 2017. This year’s 30 grant recipients will be announced on October 20th, 2017. Recognize the female athletes in your community and apply today! CAAWS Sessions - plan your year ahead! Are you interested in a professional development opportunity that builds capacity for inclusion of girls and women in the Canadian sport system? CAAWS leads a variety of sessions including women and leadership development, long-term athlete development (LTAD), women on boards and addressing homophobia in sport. Learn more and book your session today! Did you know that girls who don’t participate in sport by age 10 have just a 10% chance of being active as an adult, and the rate of participation over 15 years old has dropped to record lows? 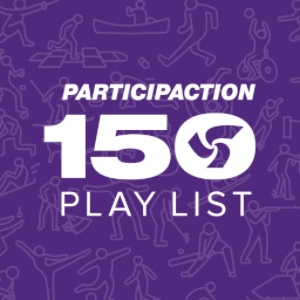 ParticipACTION has created the ultimate Play List to get you moving – 150 activities that define our country – from playing soccer, beach volleyball, and tennis to riding your bike, paddle boarding, and hiking! Need more inspiration to get moving? Check out the 150 Play List and get started! Christine Sinclair, who led Soccer Canada’s Women’s National Team to two Olympic Bronze Medals as well as a four-time CAAWS Most Influential Women award recipient, on being recognized by the Order of Canada, one of our country’s highest civilian honours. The Canadian Women’s Hockey League (CWHL) Commissioner, Brenda Andress, on leading the historic 5-year deal that will see the Kunlun Red Stars, a Chinese-based team, join the league for the 2017-2018 season. Debra Gassewitz, President and CEO of SIRC, and Heather Kaulback, Executive Director of the Aboriginal Sport Circle, on their newly established partnership to celebrate Aboriginal sport in Canada.